You want to build up on your bachelor studies and gain applied knowledge at the crossroads between business and technology? You want to be prepared for your next career step as e.g. Data Analyst or Business Consultant? Then you may want to attend one of the upcoming information sessions. Information sessions last one hour and are conducted by the academic directors of the program. The sessions offer you the opportunity to learn more about the “Business Intelligence and Process Management” (BIPM) master program – the curriculum, didactical principles, requirements for admission, and other topics. On-site information sessions take place at the facilities of the Berlin School of Economics and Law, Badensche Str. 50, 10825 Berlin, Germany. Virtual sessions are provided via Adobe Connect. If you plan to attend a virtual session, click on the session link above and check your connection. Adobe Connect requires you to have a flash player installed on your computer and a fast-enough connection to the internet. 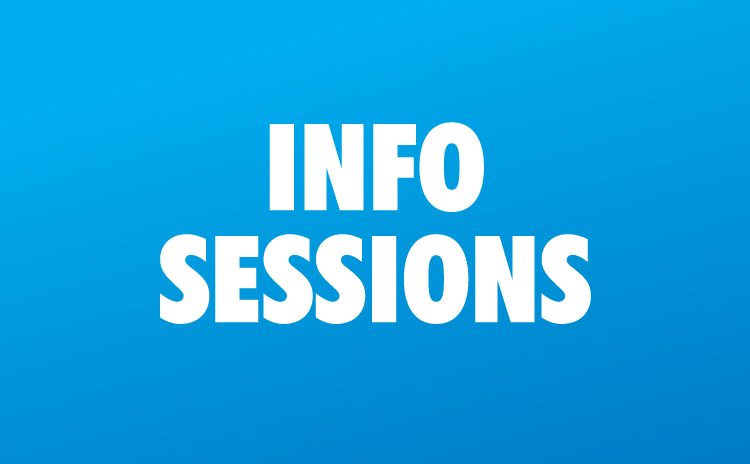 If you have any questions regarding your attendance to information sessions, please contact the Program Office at +49 (0)30-30877-1563.